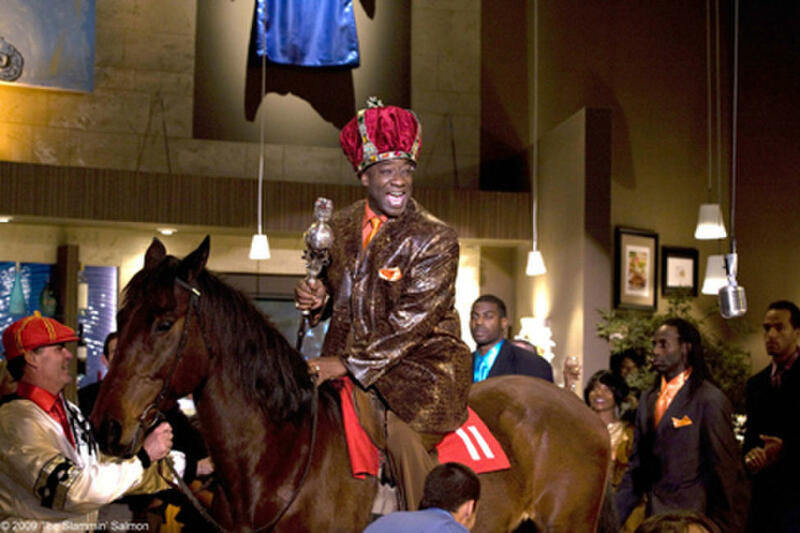 Michael Clarke Duncan as Cleon ``Slammin'' Salmon in "The Slammin' Salmon." 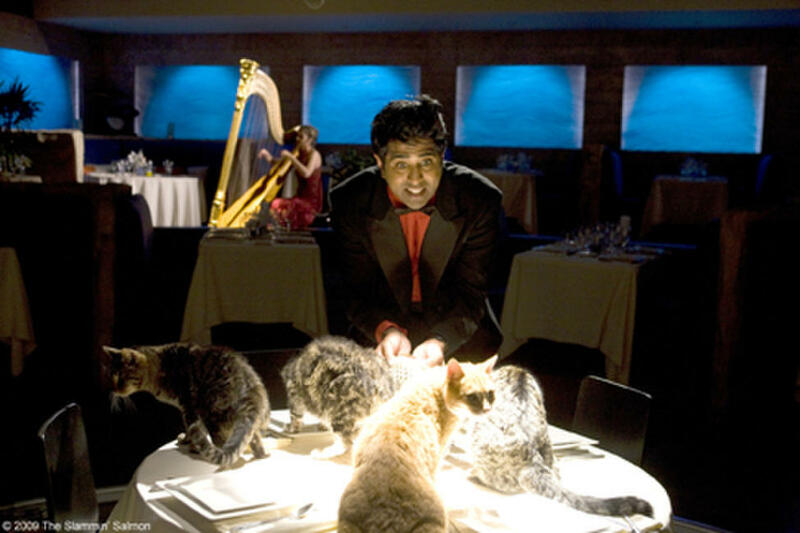 Jay Chandrasekhar as Nuts in "The Slammin' Salmon." 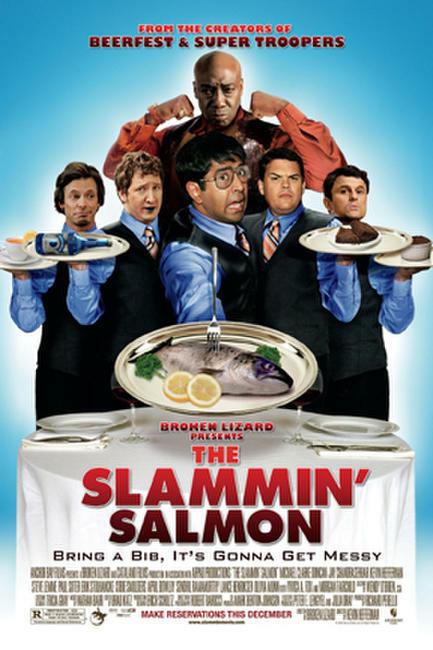 Jay Chandrasekhar as Nuts, Erik Stolhanske as Guy, April Bowlby as Mia, Paul Soter as Donnie, Cobie Smulders as Tara, Steve Lemme as Connor, Michael Clarke Duncan as Cleon ``Slammin'' Salmon and Kevin Heffernan as Rich in "The Slammin' Salmon." Jeff Chase as Anthony, Kevin Heffernan as Rich and Carla Gallo as Stacy in "The Slammin' Salmon." Paul Soter as Donnie, April Bowlby as Mia, Jay Chandrasekhar as Nuts, Cobie Smulders as Tara and Steve Lemme as Connor in "The Slammin' Salmon." Director Kevin Heffernan and Michael Clarke Duncan on the set of "The Slammin' Salmon." 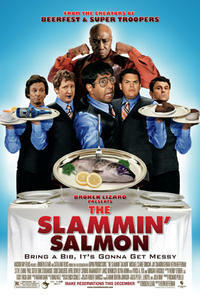 Poster art for "The Slammin' Salmon."